Indo Jax® Surf Charities from Indo Jax® Surf Charities on Vimeo. 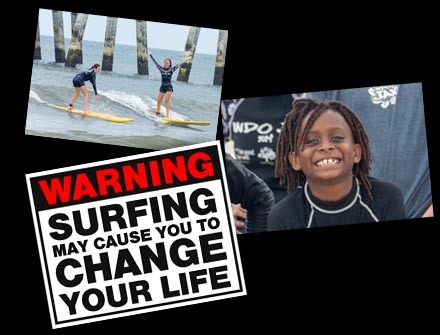 We are a family owned surf school that has been located in the Wilmington, North Carolina area since 2006. We pride ourselves on safety, quality of instruction, and attention to detail. 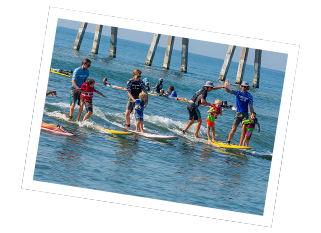 We enjoy being members of the surfing community along the Cape Fear Coast and do our best to improve the quality of life for the folks who live here, as well as do our part to make this a top notch travel destination. The surrounding beaches here are beautiful, with white sand and warm water. 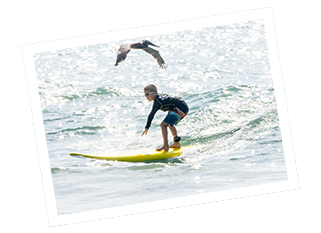 The conditions are perfect for learning exciting water sports such as surfing and kiteboarding. 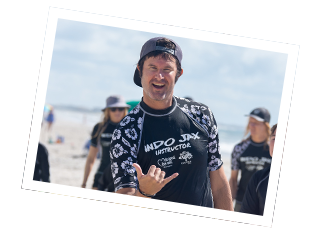 Indo Jax® provides group and private surf and kiteboard lessons. Our experienced and trained professional instructors will get you up and riding in no time, as they introduce you to some of the most thrilling watersports. So come on out and experience the exhilaration of surfing and kiteboarding at Indo Jax®! Because of our extensive teacher training and surfing experience, depth of safety qualifications, and pure love of the ocean environment, you will not find another surf school that can offer what we can. Our qualifications allow us to offer much more than other surf schools for a much lower price. Simply put, we offer the BEST surf instruction, use the SAFEST equipment and methods, at the MOST affordable prices. Our instructors are CPR, First Aid, and many are Lifeguard certified. We only hire mature, professional, and friendly employees. Our instructors are dedicated surfers and accomplished watermen/women. We are skilled in the ocean. In addition our instructors are either certified teachers, or have extensive teaching skills. We believe it takes surfing/ocean knowledge as well as teaching ability to be a good surf instructor. We hire only those who have both. 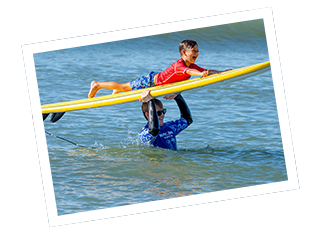 Our instructors are committed to your safety and success while learning to surf. Again, we know of no other local surf school that can make all these claims. Get to know them better on our instructors page. We truly are owner operated. Others say it, but we really are. Our owners run the camps. Our owners are in the water with the students. We feel that this maintains the highest quality at our surf camps. When you come to Indo Jax® you are getting more for less. In addition, you are supporting all the charity work we do! There really is no other choice than Indo Jax®. 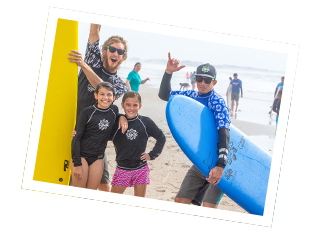 2015 Surf Season�A Huge Success!